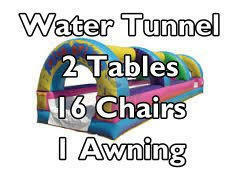 What is a Water Tunnel you ask? 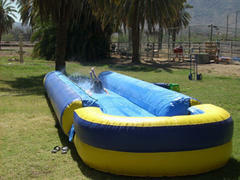 When you were a kid, slip n slides where one of the coolest things you could play on in the summer. 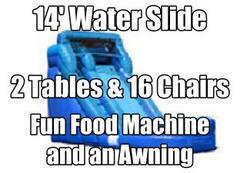 Kids today would be shocked to see what we thought was so neat. 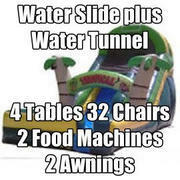 Now Water Tunnels and Giant Slip n Slides rule. 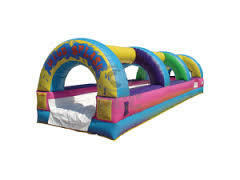 These are kind of like the ones you remember but instead of sliding on the ground (remember feeling every rock and pebble underneath?) 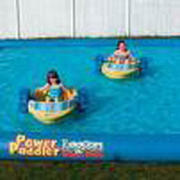 they sit on a 1' cushion to make the sliding faster and rock free. 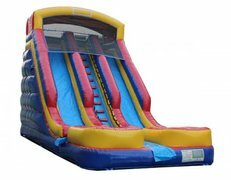 Water Tunnels and Slip n Slides come in standard single lane, extra wide lane like our Wave Runner Slip n Slide or dual lane. 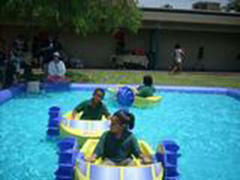 The older kids and teens love the wide lane and dual lane models so they can race each other. 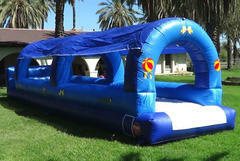 Water Tunnels have a water delivery system overhead that allows water to rain down on the participants as they slide. 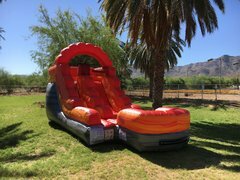 We even have one called Under the Sea that features a sun screen to protect your younger kids from the dangerous Arizona Sun. 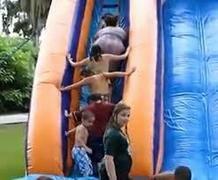 Renting a Water Slide is a fun and easy way to keep the kids entertained this summer. 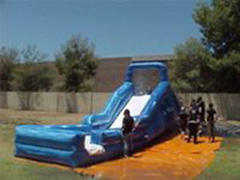 Why wait for a Birthday Party to enjoy the cool relief a Water Slide provides from the Arizona sun? 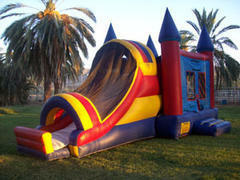 The kids are out of school and bored, rent one and be the coolest parents in the neighborhood. 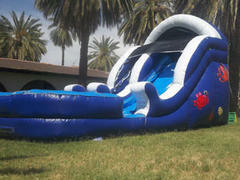 Our Red Rush is our smallest backyard water slide. 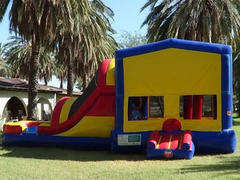 It's front loading to take up less space and can accommodate kids up through middle school age. 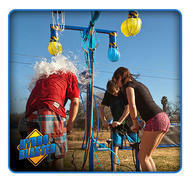 The Blue Surge is the next step up, being a little taller and wider. 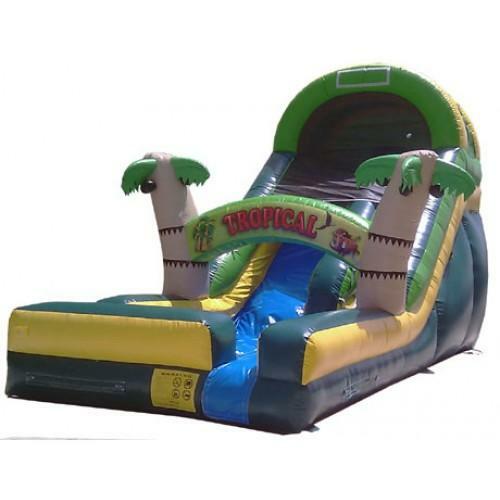 As the Water Slides get bigger and faster, you'll find some fun ones like the Sea Splash and the Tropical Wave. 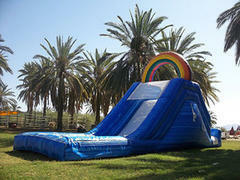 Our Rainbow slide is the longest and our Red Crush and Colossal Wave are the tallest slides. 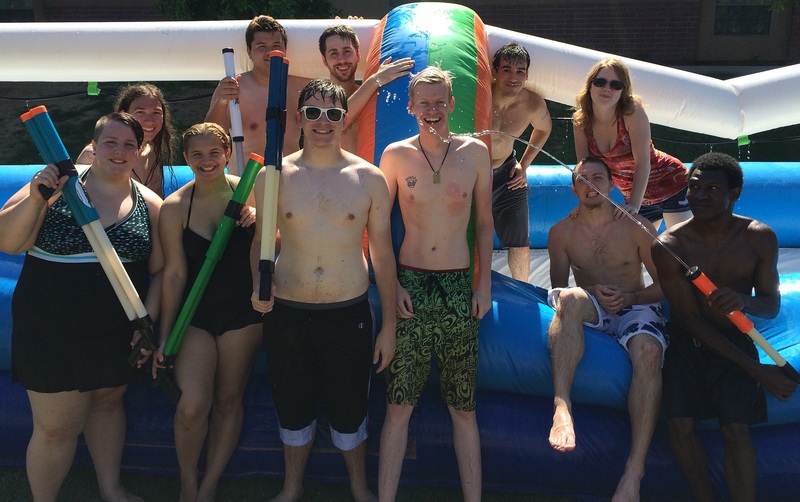 Check them all out below! 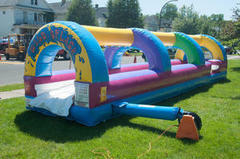 Kids love Bounce Houses but with the summer heat you want to keep them cool. 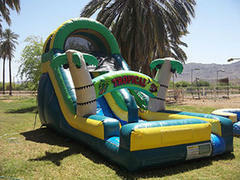 We offer Bounce/Water Slide Combos starting at $195. 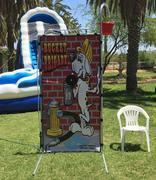 They can be a great way to add more bang for just a few more bucks. 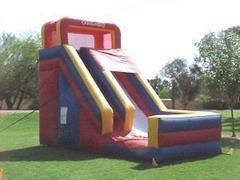 They don't cost much more than our premium Bounce Houses, Giant Slip n Slides or Water Tunnels. 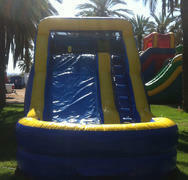 On several you can add a Banner to customize your Bounce/Water Slide Combo to match your party theme. 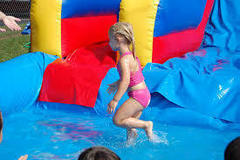 Be sure to click on each of the Discount Water Slide Packages below to see the savings we've packed into every one. 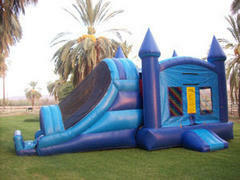 Our packages will save almost 50% over what renting the items separately would cost you. 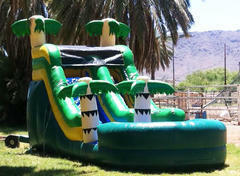 We have Water Slides and Water Tunnels available for this Weekend on short notice. 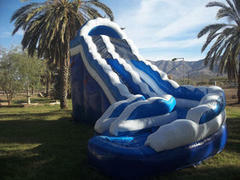 Our Palm Tree Plunge is our smallest backyard water slide. 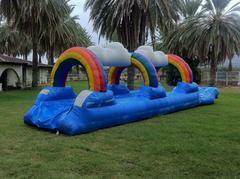 It's front loading to take up less space and can accommodate kids up through middle school age. 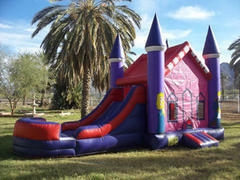 Call or email us with any Questions. Be sure to leave an email address or phone number or we can't reply.